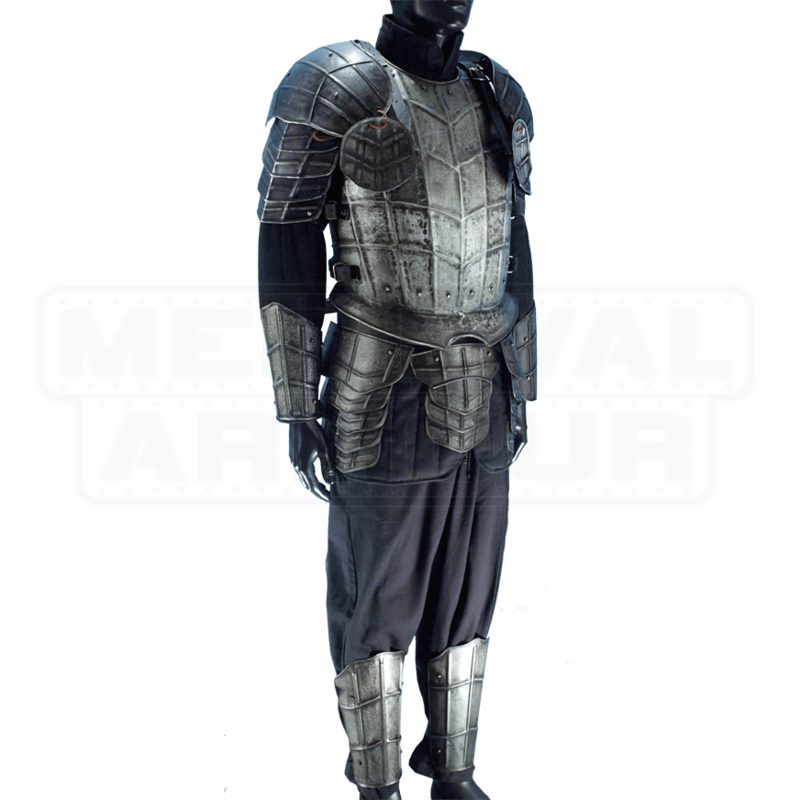 Step into your next LARP battle full of confidence, certain that evil forces will prevail. 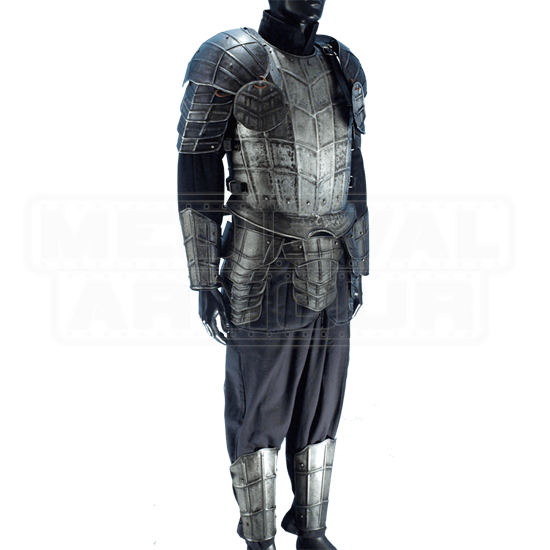 The Dark Drake Complete Armour Package - Size Large includes all you need to create an intimidating guise and guard against needless injury. A breastplate and the Dark Warrior Backplate shield the torso. Pauldrons with articulated plates and besagues cover the shoulders. Bracers and greaves protect the forearms and shins. A tasset belt guards the hips and upper thighs. Crafted from 18-gauge steel, the armour possesses a dark metal finish, coated with a special rust resistant treatment. Leather buckle straps secure and adjust the fit of each piece. A reptilian pattern with raised ridging, a V-shaped flange on the breastplate, and rivets increase the deflection capability.